A staple item for setting a table is a pedestal bowl. You may not use it every time you entertain, but you will certainly get your money’s worth over time. My recent weekend shopping trip to Ikea in Canton, Michigan yielded some great finds. I purchased a giant container of silver ornaments for just $12. If easily filled two of my pedestal bowls. If you have pine trees in your yard, use them. Snip branches and insert into your pedestal bulb arrangement. 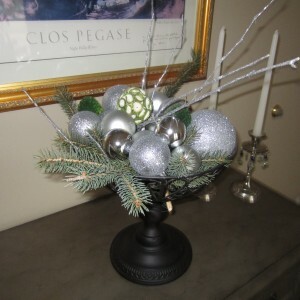 In the above arrangement, I also used a few sprigs of silver branches purchased at Michaels. Honestly, you can cut you own branches and spray with silver paint and dust with glitter. I would have done that but time was not on my side. Make your holiday table festive by using what you have around the house. 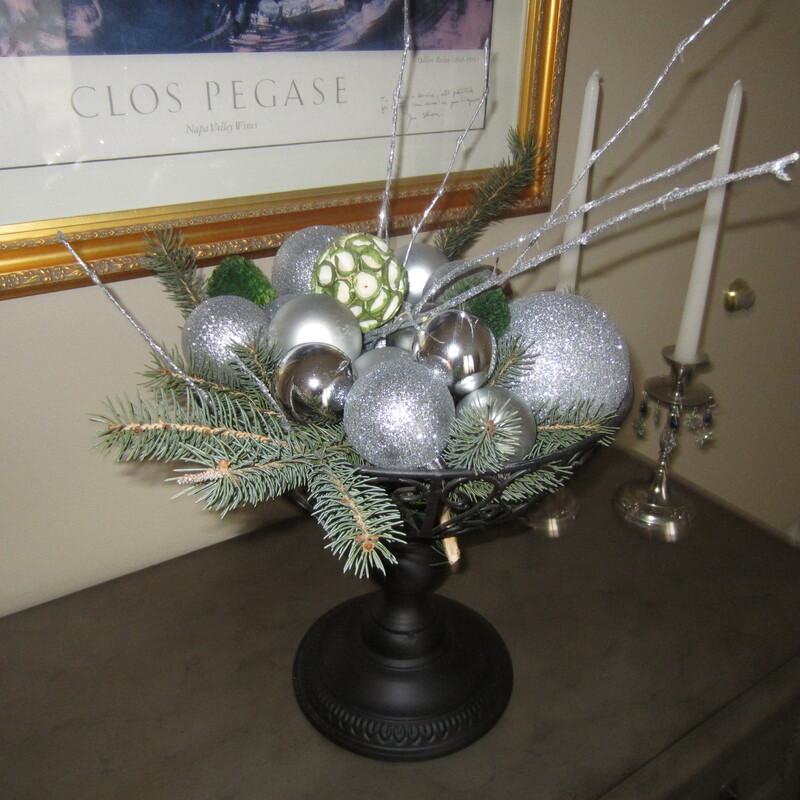 Ornaments are inexpensive and a little spray paint can spruce up any container. Shop your local Goodwill or Salvation Army for repurposed vessels to display your arrangements.